Here's a case of how to definitely not deal with getting negative feedback. 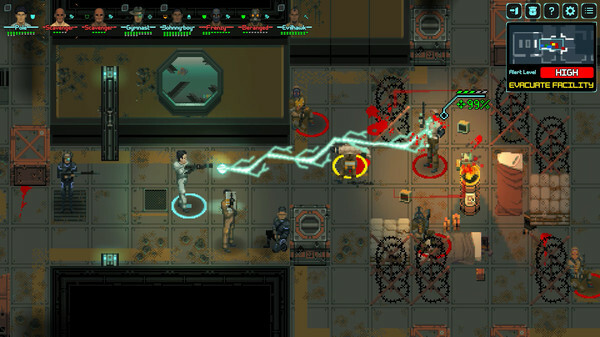 A developer of Depth of Extinction revoked a user's key after a negative review. Update: A statement from the developer. Depth of Extinction is a game that went through itch's "First Access" program where they sold limited amounts of keys across various rounds. Like a lot of games that start off on itch.io, the developer promised a Steam key when the game makes into onto Valve's store. So to make matters worse, this was a user who helped fund them a little before the wider release. You can see the Steam forum post here where the user talks about it, which is now locked by the developer which was made after they put up this user review on Steam. Looking at the short review, they're not even saying all that much and it sounds like a pretty honest post as well as remaining quite polite with their negative thoughts about it. Sorry about that, but I thought I you weren't interested in playing the game. I would have loved to get your feedback during the First Access but I didn't see anything from you until the Steam review, which was a little confusing. I really don't see how you saw enough of the current version of the game to make the judgement call you did there since we made massive changes in the last few months that were all just on Steam. I can get you another key if you are interested in playing more and perhaps providing some feedback on how we can improve the game. As polite as the developer reply may seem, how could they have thought this would be a good idea? They did also apologise in a later post after. Since I actually quite like the game, it also stings a bit to see a developer I also supported do something like this. Thankfully, the situation is now resolved and the user does have access to it on Steam once again. Honestly though, I'm a little in shock that doing something like this would ever cross someone's mind. I've given plenty of negative reviews in my time here and on Steam itself, I've later changed my mind on it especially in times when there's been a patch to improve things and this user could have done the same but that's not the point. This feels like an attempt to silence negative feedback to me, it doesn't sit right at all. It does also bring up some interesting questions about how easy it is for developers to remove peoples access to their games. While it's a system that can help developers in certain situations, it's also a system that is quite obviously open to a bit of abuse. I do have to wonder what Valve think about this as well, so I've reached out to them for a comment and I will update this if they reply. This does make another interesting case for DRM free games outside of Steam, since a developer can't just take away your ability to play it. While a DRM free store could remove the game from you, you're still able to fully back it up yourself. Hat tip to madpinger for the info. Ja, I can see how there would be a need for the developer or publishers to have this sort of access in regards to the rights to revoke keys. I can't see this as more than an inappropriate and impulsive reaction by the dev, a 'human' moment perhaps without knowing the mindset of the individuals involved. It'd be rather a rude awakening to one morning log into steam and games you paid for suddenly vanishing on you. Imagine if the user didn't have the email to draw attention to it, it could have been quite a while before they noticed otherwise. It even makes me wonder if there are games I have that are no longer there and I'm simply unaware of it honestly. A strong argument indeed for the ability to backup your games independently of the distribution platforms, such as steam. I don't think games bought directly on Steam are revokable. This key was beta key he got directly from the dev as part of the Itch.io deal. madpinger It even makes me wonder if there are games I have that are no longer there and I'm simply unaware of it honestly. Most likely no games are missing. You might have not noticed, but someone else would. Don't make it bigger deal than it is. Solitary I don't think games bought directly on Steam are revokable. This key was beta key he got directly from the dev as part of the Itch.io deal. Indeed, this situation is thankfully reasonably rare, doesn't change any facts of the matter though, still rubbish. It should not even be possible for a dev to revoke keys. Revoking a legally paid key is theft. There's just no other way to look at it. > This does make another interesting case for DRM free games outside of Steam, since a developer can't just take away your ability to play it. While a DRM free store could remove the game from you, you're still able to fully back it up yourself. Ehvis It should not even be possible for a dev to revoke keys. Revoking a legally paid key is theft. There's just no other way to look at it. It actually makes perfect sense. If someone buys keys with stolen credit cards and tries to resell them, or maybe it's just review/testing keys for limited time period. As I already mentioned, I dont think this can happen on Steam bought games. This was the case of a game activated with a key that the person got from the dev via email. Well, here's one game and developer I can now blacklist. I'm not saying there shouldn't be an option to have keys revoked that were not legally paid. But the dev there's no reason for a dev to be able to do that on their own. Some people dont believe in constructive criticism. They believe its just an excuse to insult their hard work. If your a game developer you need to be open to feedback, even if you disagree. I don't know how much time and effort the developer has put into the game, but they're probably miffed at seeing a negative review that's going to affect the sales. Especially *if* its from a backer who had a chance to give feedback earlier. Ehvis I'm not saying there shouldn't be an option to have keys revoked that were not legally paid. But the dev there's no reason for a dev to be able to do that on their own. And who else if not dev? Valve? How would Valve be able to recognize valid request? Most likely there is very specific TOS and agreement between dev and Valve how to use this feature and Valve will only intervene if abuse happens. This mistake was fixed rather quickly, so we did not have a chance to see how would it played out.